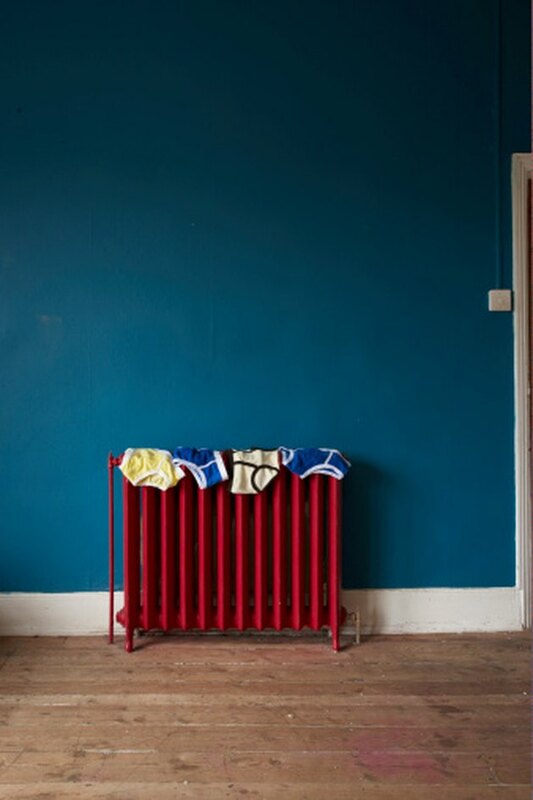 Many older homes use radiators to heat the house. You may have updated the heating system in your home and now have unsightly radiators that you no longer use. Removing them from the home is one option, but cast iron is heavy. Instead of removing them, you can build decorative radiator covers. These covers can double as an extra shelf or place to put decorations or potted plants, especially if the radiators sit in front of a sunny window. This is a good project for novice woodworkers. Covered radiators can double as an extra shelf or place to put decorations. Take some measurements of your radiators, making sure to measure each one individually as they vary in size. Measure the height, width and depth of each radiator and add 3 inches to each measurement. Lay out the frame for each side on your work surface with the front of the molding pieces facing down. Line up the mitered corners. Place a bead of glue between the two pieces and then use a staple gun to hold the pieces in place. Use the table saw to cut out the pieces of wainscoting to fit the molding frames, leaving a 1/4-inch allowance all the way around. Attach the wainscoting to the molding frame using the staple gun. Stand up the three pieces of the radiator cover and line up the corners. Place a bead of glue between the two pieces and then attach them together using the finishing nails and the hammer. Measure the top of the radiator from side to side and front to back and add 2 inches for overlap. Cut the pine to this measurement. Use the optional plywood if your front to back measurement is more than 10 inches. Place the top shelf piece on top of the sides of the radiator cover. Align the back piece flush, but allow the sides and the front to hang over a little bit to create a decorative lip. Use the finishing nails to attach the top to the sides of the cover. 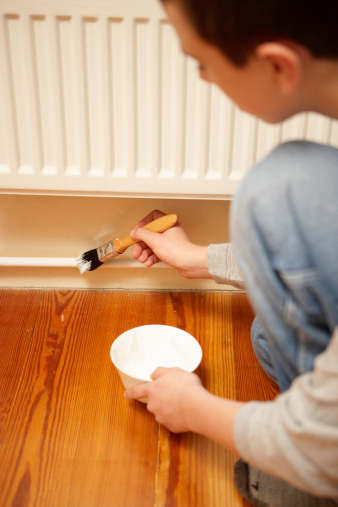 Paint or stain your radiator covers as desired.